For the family of a mass shooter, there are only questions, all of them tinged with the underlying implication of blame. Eric Paddock stood in the bright sunlight outside his Florida home, eyes wide and voice straining. “We’re trying to understand what’s wrong, what happened,” he said. Paddock told reporters gathered on his property on Monday morning that his family had been awakened by a pre-dawn phone call from Las Vegas police. That was how they learned that his brother, Stephen Paddock, had committed the deadliest mass shooting in modern U.S. history. And now there they were, the newest members of the sad fraternity on the fringe of every mass shooting to dominate a news cycle. Another family left to account for the actions of a loved-one-turned-murderer, grappling with a loss compouded by guilt and betrayal. Some shooters’ families cope by withdrawing completely, curtains drawn, phone calls unanswered. Others – like Peter Lanza, father of Adam Lanza, who in 2012 killed 20 children and six adults at Sandy Hook Elementary in Newtown, Connecticut – take years to publicly express their pain and penance. 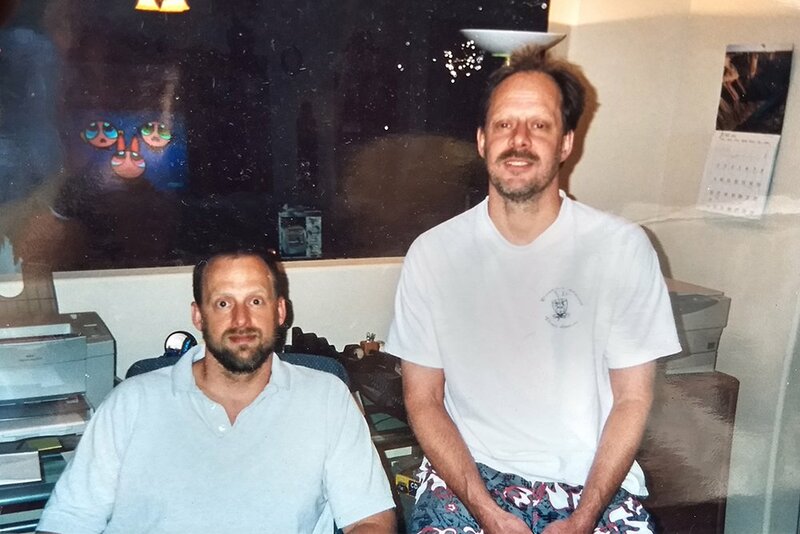 Rarely do relatives do what Eric Paddock did and immediately try to speak, even if they don’t yet have the words. In the footage aired by multiple networks, he kept shaking his head, sweeping his hands through the air, as if reaching for something beyond his grasp. He stuttered. “I’m … the fact that my brother did this, is …” He raised his fist to his temple, then thrust his fingers open, as if to say, mind blown. For the family of a mass shooter, there are no candlelight vigils, no outpouring of solidarity and strength from their surrounding community. There are only questions, all of them tinged with the underlying implication of blame: What did you do? What didn’t you do? What should you have done? Was there any history of troublesome behavior? the reporters asked. “He doesn’t even have parking tickets,” Paddock said. Months after the deadly rampage at Virginia Tech in 2007, Sood spent three hours talking with the parents and sister of Seung Hui Cho, the 23-year-old gunman who fatally shot 32 people before killing himself. The family had shied away from the media but granted the interview to a review panel appointed by the Virginia governor after the shooting. They were undone by their shame, she said, shut off from their community in America and from their family overseas. A great aunt in South Korea commented publicly that it wouldn’t be wise for Cho’s parents to flee to their native country. Even exes find themselves marked by their shared history with a shooter, called to account for the actions of the person they’re no longer affiliated with. Like Sitora Yusufiy, the ex-wife of Omar Mateen, the shooter in the mass killing at the Pulse nightclub in Orlando. Yusufiy spoke of the violence and abuse she’d endured at the hands of her former husband, and her horror at learning what he’d done. Ex-spouses, siblings, aunts, cousins – all might be asked for some clue or explanation. But the greatest scrutiny is often reserved for the parents of a killer, even if they have no clear answers to give. When Cathleen Alexis recorded a statement days after her son, Aaron Alexis, killed 12 people in a 2013 rampage at the Washington Navy Yard, her anguished voice trembled. Peter Lanza told the New Yorker that he’d spent years agonizing over what he could have done differently, how he might have been more involved in the deteriorating life of his estranged son. Arlene Holmes wrote of her lingering doubts in an essay published five years after her son, James Holmes, fatally shot 12 people in a darkened movie theater in Aurora, Colorado. He was later diagnosed with schizophrenia. “I have since learned hard lessons, haunted by the idea that the shooting could have been prevented if only I had educated myself so I could have recognized symptoms and taken my son for diagnostics and treatment,” she wrote. After the violence in Las Vegas, Sood watched the media once again search for explanations – seizing, for example, on the revelation that Paddock’s father had been a convicted bank robber. She is unconvinced of a correlation between the actions of father and son, she said. Ten years later, she still mulls the experience of sitting all those hours with the Cho family.